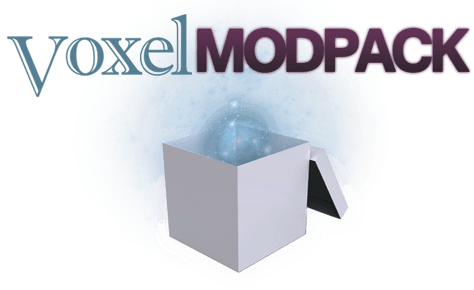 The Voxel ModPack is a set of client mods chosen specifically to assist users of multiplayer creative servers like the The Voxel Box. This mod can be used any multiplayer server. It takes the difficulty out of installing mods that improve The Voxel Box experience. Use of these mods is required to easily access many of the features of The Voxel Box. Extract Voxel ModPack zip file (not to your .minecraft folder). -If the installer asks you to force update Minecraft: start Minecraft, click “Options”, click “Force Update”, click “Done”, click “Login”, then exit Minecraft. Suggestions are welcome; however, no single-player only mods will be used. This ModPack is specifically for multiplayer use.